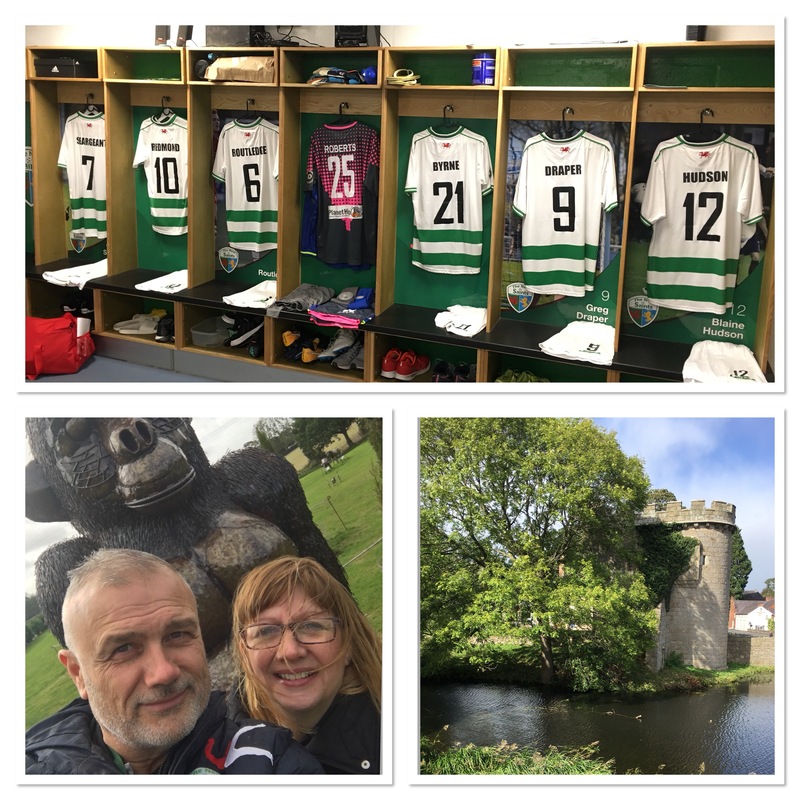 With The New Saints hosting Bala Town in the evening and my wife doing face-painting for the Junior Supporters’ Club event, we decided to take advantage of being in the area together to visit a couple of places. My wife fancied going to the British Ironwork Centre while I wanted to take a walk round Whittington Castle. We did both, plus the game of course, hence the three birds reference. If you plan your life’s schedule with care you can fit in a lot more than if you just randomly see what happens as you go along. Although it was a very windy day we didn’t let that deter us from enjoying the places we visited. Then it was back to Park Hall and the game itself, plus the events surrounding it. It ended 0-0 but the positives were that TNS is now unbeaten in five games with five clean sheets and remain top of the league. It was good to see Connell Rawlinson again, following his departure from Park Hall in the summer. Now at Port Vale, he’s enjoying his football there but it’s always nice when ex-players return to watch a game. Following the match, I interviewed Scott Ruscoe and Ben Cabango. The former is our manager and the latter is on loan from Swansea City. Already a Wales U19 international, he’s definitely a young man with a big future. When I watched the national team recently in the Nations League, I said to Ben the next day at training that will be him one day on the pitch.